Coca Cola which is "unchanged brand"
"Coca Cola" has over 130 years of history and is beloved in over 200 countries around the world. This ultimate brand is supported by consumers with high loyalty who will "not drink any cola drinks but coke". 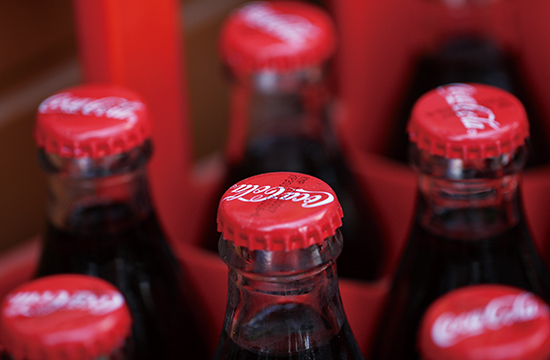 I would like to explore clues regarding how this Coca Cola brand was born, how it has continued to improve its value, and how it can continue to develop in the future based on the company’s history. In 1886 in Atlanta Georgia, pharmacist John S Pemberton created a unique sweet-smelling syrup which he mixed with carbonated water and sold at his pharmacy. Along with the prototype for this charming drink the logo was also born. Dr. Pemberton's partner who was an accountant thought of a nice sounding name with alliteration, and the 2 Cs on the logo looking appealing in terms of advertising, and thus gave it the name "Coca Cola". The person who subsequently created a full-fledged soft drink business out of "Coca Cola", was Asa Griggs Candler, a pharmacist and businessman who purchased the manufacturing and selling right of "Coca Cola" from Dr. Pemberton. It can be said that the modern conglomerate began with the founding of the Coca Cola Company in 1892. Chandler's wisdom was in his keen awareness of the necessity for marketing and sales promotions in order to increase the brand value that was equal to zero. He realized that in order to make the unique deliciousness and refreshingness of "Coca Cola" a part of people's daily lives it was effective to have the people see advertisements everywhere. Immediately after establishing the company, half of the company's expenses were spent on advertising. In Atlanta he distributed free coupons. It is said that in addition to newspaper inserts, posters, and calendars they also created many novelties such as bottle openers, trays, thermometers, and playing cards, etc. This helped raise awareness suddenly in the Atlanta area, and with each year they created stylish advertisements featuring images of common laborers, children, women, etc., strengthening its image as a new drink which was thirst-quenching and refreshing. 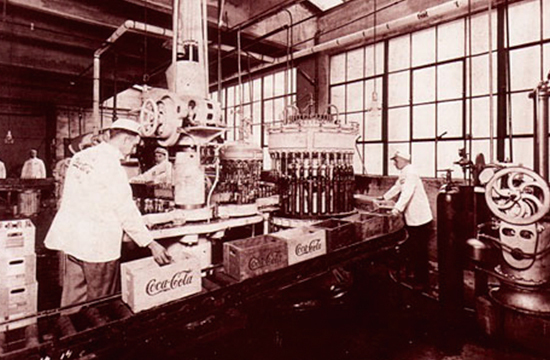 As a result, sales of "Coca Cola" continued to expand, with the company building soda factories in various places and sweeping all around the country. Their magazine advertisements started to proactively utilize Hollywood actors, baseball stars, and other celebrities, with their advertisements always on the cutting edge, and it went on to establish itself as the leading soft drink brand in the United States. All businesses start to decline if they have no change because achieving profits becomes difficult due to competition. However, the sales of Coca Cola and affiliates around the world were favorable. Coca Cola US is also known as an excellent company with over 50 years of increasing dividends. The history of "Coca Cola" is nothing but the history in which it has expanded the brand value that is the source of competitiveness without cease.